Who won't be entertaining crowds at The Theatre of Dreams next year? The most successful club in English football, Manchester United, haven't had much reasons for celebration in recent years as they have struggled mightily after legendary Alex Ferguson retired in 2013. Hundreds of millions have been spent in overhauling the squad. High-profile managers have been signed, but they seem unable to dominate the English Premier League as they used to. That is why the summer of 2017 will in all probability be the most crucial phase in recent memory for the Red Devils. For, quite a few high-profile stars are expected to walk out of the door and The Statesman looks at the ones most likely to be getting the boot (pun intended). He’s spoken openly in the past few weeks that he is still weighing his options and while the club may want him, does their top-scorer want them? He may not admit it publicly, but the uncertainty surrounding the Red Devils’ participation in the Champions League is a major concern. 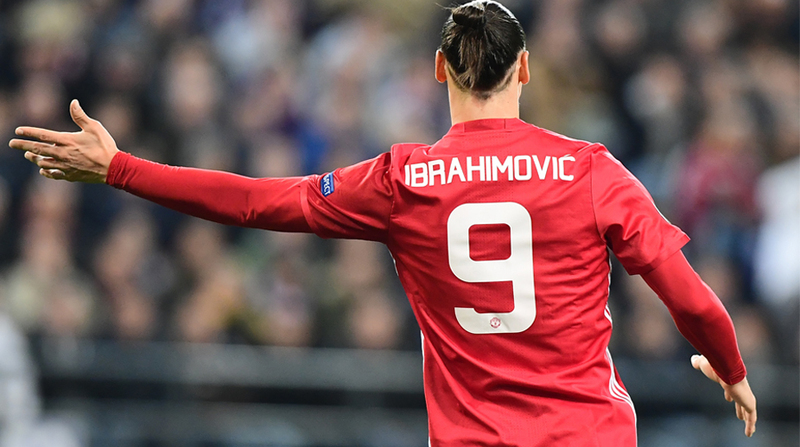 At 35, he doesn't have many major moves left and after proving himself in the English Premier League, Ibra can move anywhere he wants. Considering he is a free agent, there will be no hefty fee involved and should he continue to stall on a contract, expect plenty of takers for the veteran Swede. And of course, United continue to be heavily linked with the likes of Romelu Lukaku and Antoine Griezmann, suggesting that the English giants are preparing for life beyond their mercurial striker. Technically still, Manchester United and England captain, the 31-year-old is struggling to get into either XIs. A shadow of his former self, Rooney is almost certain to leave Old Trafford this summer, having made just nine starts this season. He lacks pace, his first-touch often lets him down and the fact that he is on an enormous wage makes him the first player Jose Mourinho will want to get rid off as soon as the transfer window opens. While his commercial presence is considerable, Rooney just isn't what he was on the pitch several years ago. Perhaps a swap deal with Lukaku could be arranged in a sensational return to his boyhood club, but will he be willing to take a substantial wage cut? If not, then the only realistic options for him would be crossing the Pacific for the MLS or travelling to the Far East to ply his trade in the cash-rich Chinese Super League. United’s MVP of the season for three years in a row, there is no disputing he is the best goalkeeper in the English Premier League right now (Quite possibly, in the world too!). Real Madrid have been hovering for a few seasons now and a faulty fax machine will only be able to hold out for so long. Even if United qualify for the Champions League, expect the allure of Los Blancos to be too much for the 26-year-old Spaniard. Regularly competing for a treble, sunny Spanish weather, the opportunity to be back in his hometown (and closer to pop-singer girlfriend Edurne) make it an easy choice for the 26-year-old custodian. 2017 could be the year Gianluigi Buffon’s world record transfer fee for a goalkeeper is broken and this time, United won’t be able to hold out till the transfer deadline. It’s safe to say after a blistering debut season in which he scored 17 goals in all competitions with the Red Devils, Martial’s stock has nosedived in the 2016-17 season. On the periphery of Jose Mourinho’s squad due to a combination of niggling injuries, poor form and personal issues, the 21-year-old has been the subject of some stinging public criticism from his manager as well. What many people forget is that he is still very young and should he chosen to knuckle down and work hard. There isn't anything that can stop him from becoming the next Stretford End legend. The question, however, is that is he willing to put in the hard yards and let his boots do the talking? Most of Europe’s elite, including Paris Saint-Germain and Real Madrid, are said to be keeping tabs on the jet-heeled Frenchman in case the situation worsens for the talented winger under Mourinho. A fine player, no doubt but one who doesn't fit into Jose Mourinho’s game plan it seems. The final (and most expensive) signing of the ill-fated David Moyes’ era, Mata had been struggling for minutes at Chelsea (Which was managed by Mourinho). Since his high-profile transfer to Manchester, the diminutive Spaniard hasn't exactly set the pitch alight with his performances on the pitch. Perhaps because Mourinho doesn't trust him enough to give him a consistent run in the starting XI or maybe because United’s current system doesn't suit the 28-year-old or perhaps a combination of the two. He’ll be out of a contract by 2018 so unless United want to let him go for free on a Bosman, they need to offload Mata in the summer. The problem is, that at the price United will want to sell him at, there may not be too many seekers. After making a £31.5 million-pound in 2014 from Southampton to United, the pressure was on then-teenaged Shaw to deliver on his immeasurable potential. Three seasons have passed and both Louis van Gaal and his successor Jose Mourinho have publicly criticised the full-back’s work ethic and fitness on several occasion. If one manager singles you out, it could be forgiven, but two managers for the exact same reason? That means there is a serious problem and while he may well publicly say he is working on his fitness and everything, it remains to be seen if Shaw is in Mourinho’s long-term plans. United’s rivals Arsenal lack a quality left-back at the moment and could be persuaded to swoop in for the 21-year-old and while Stoke City and Crystal Palace are said to be interested as well, Shaw would have to take a massive pay cut if he is to move to either side.